If you’ve never been to a PF Chang’s, you don’t know what you’re missing! 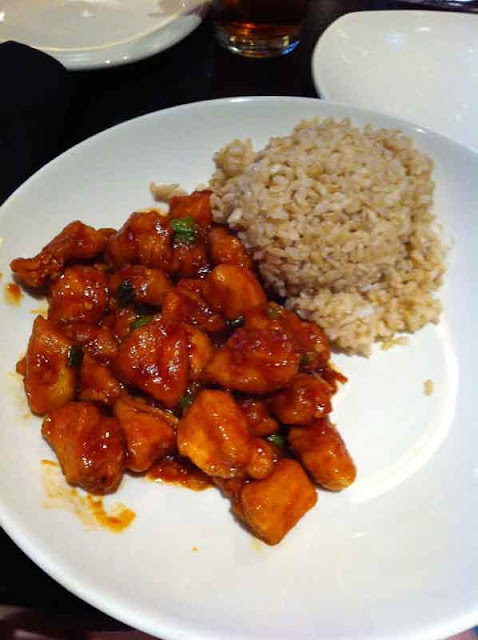 I’m used to Chinese food around SW MO and I always get the same thing – Cashew Chicken. I have learned when I go other places, this doesn’t have the same meaning. It looks different anyway so I’ve always been leery of trying it. I know, me, the person who thinks we should all try new things. The only reason for my reservations, what if you order it and don’t like it. Then you have to pay for it and something different… so I always find something else I know will be just as good. Don’t worry I don’t completely snob it and this also causes me to try new foods! :). Ok anyway back to my story. 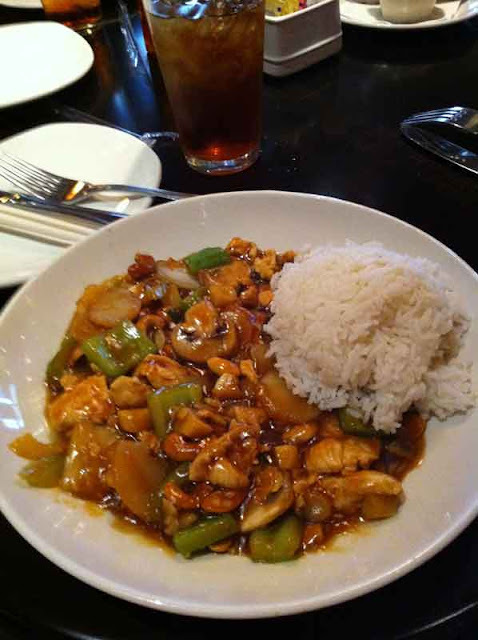 My mom introduced me to a PF Chang’s when I went to Las Vegas. You talk about good food now! Holy cow! So any time we’re out and about and there is one around, it definitely makes our decision list. 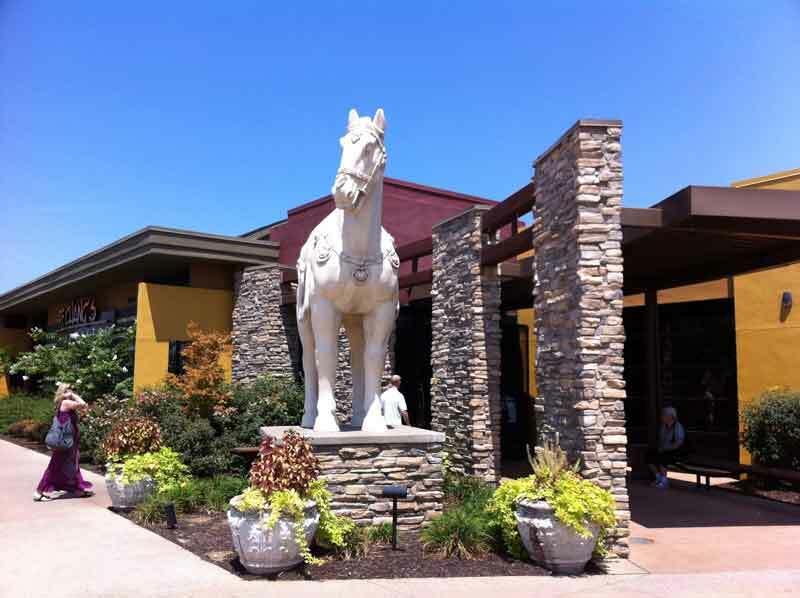 This particular PF Chang’s in Fayetteville, AR holds a near and dear place in my heart. I know, a food restaurant really? But the reason why you may ask? So glad you asked…. This was the first meal, the first location, my husband and I had as husband and wife. (besides our reception food) 2 years ago we drove down to Fayetteville to stay the night so we could get up at the crack of dawn the next morning and fly to Chicago. This particular one is located at the Pinnacle Hills Promenade, which just so happens to be the location of the Best Buy where I bought my laptop 3 years ago. The laptop that was responsible for bringing my husband and me back together via friends internet and facebook. See I told you this place was near and dear to my heart! :). Anyway, this particular day was just a normal Saturday when my parents, hubby and I decided to drive to Fayetteville to go shopping. We wandered around the Pinnacle Hills Promenade for a bit and then decided we were hungry. PF Chang’s was the answer! 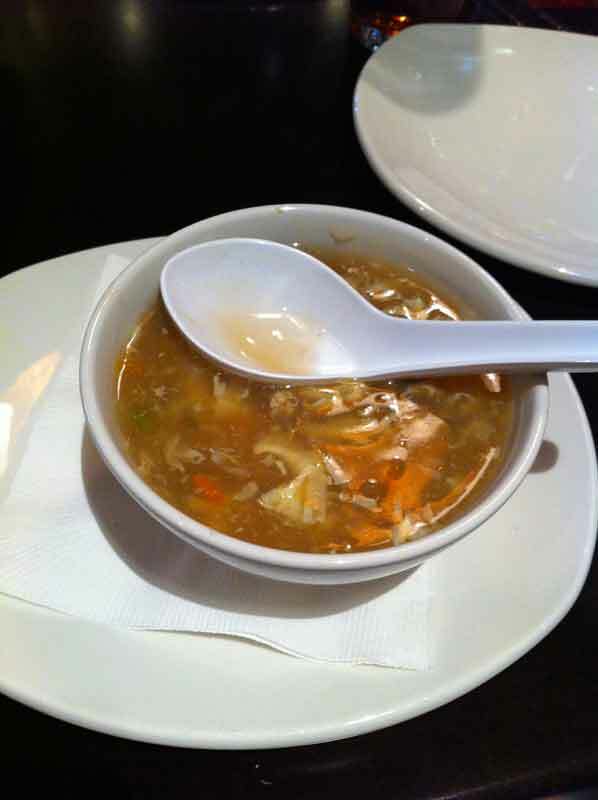 Our starter was Egg Drop Soup. It must have come with the lunch we got because normally hubby and I go a different route that still includes us getting this but this day we didn’t go that route. Mom went for the Almond & Cashew Chicken. Again, totally not disappointed. As in she was happy! 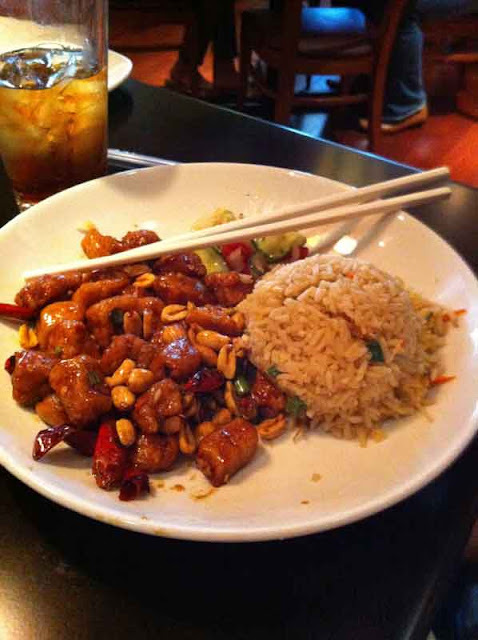 Hubby always gets the Kung Pao Chicken. It’s a bit spicy for me but he just absolutely loves it. The lunch portions seem smaller than the regular portions but it was still plenty! 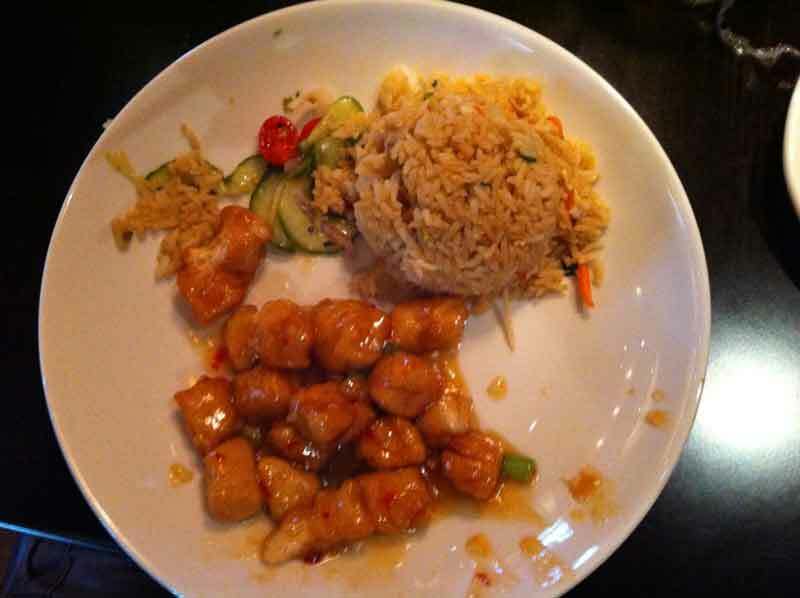 The dinner portions we usually can almost just split one, but we don’t… remember I don’t care for the spicy! :).